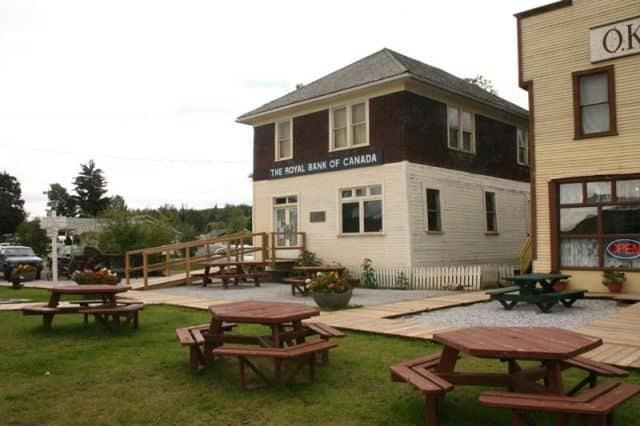 Heritage Village in Vanderhoof, British Columbia, Canada is a throw back in time to when the settlers and pioneers of the region first arrived in the Nechako Valley. The village is reminiscent of the living and working conditions of the people who worked the land in the 1920's when the settlers were heavily committed to their farms and families. The historic village is located right on Highway 16 identified from the heritage buildings lining the road. The village is best viewed via a self guided tour map when walking along the boardwalk trail and grassy fields leading to the many heritage buildings onsite. The village administration office provides the maps of the village and the detailed information about each building. Some of the more popular heritage buildings to view include the 1914 Board of Trade Building, the 1919 Jail, the 1920 Bank, the 1918 Redmond House, 1922 Meadowdale School and the 1902 Yukon Telegraph Cabin. Scattered between the buildings are some historical farm equipment like a stump puller, a plow, a cultivator and some wagon wheels. The Board of Trade Building is the current location of the museum. The building was first occupied by the Grand Trunk Pacific Railway until the 30's. Soon later it became the building used to house town hall meetings. Today, inside the Board of Trade Building is a museum with a good selection of pictures, artifacts and wildlife exhibits from the past and present. Inside the museum is plenty of information about the rugged lifestyle of the people and what they had to endure when living in the Nechako Valley back in the early 1900's. The first jail in the Nechako Valley was run by the provincial police before the RCMP were formed and established in BC, Canada. The police would live in the building along with the prisoners. A bit tight since there was only one jail cell. In 1920 the police moved out and Mrs. Pinniger moved in. She delivered many babies in the region as there were no hospitals at the time. There are many other buildings with many other stories of history to tell. 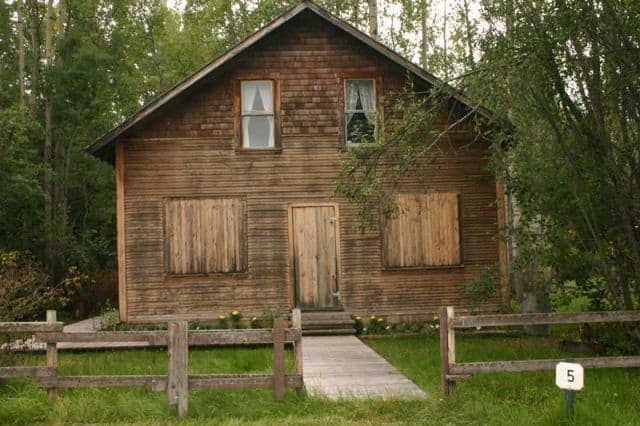 A visit to the Vanderhoof Heritage Village would answer them all. The Tim Chow and George Chuey Cafe and Hotel was restored in 1985. It was a central gathering place in the community for 22 years. 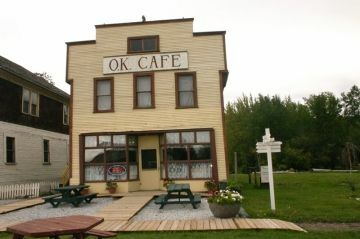 Today the OK Cafe is a full serviced indoor coffee shop in the village with outside picnic tables. It is a great place to start or finish your tour. How to Get Here: It is easy. Follow Highway 16 into the community of Vanderhoof, BC, Canada. Near the main set of lights in the community on the Hwy is the entrance to the village. You should be able to see the village buildings from the highway.